This mat is made in our mill of all natural, locally grown 100% wool. 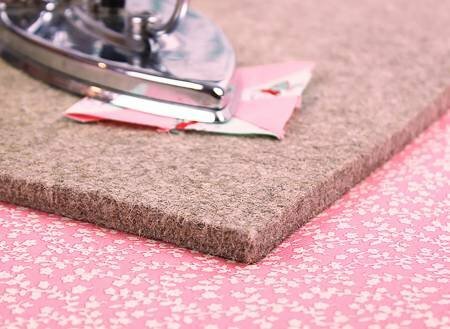 It creates a perfect pressing surface for your embroideries, quilt blocks and more! holds the heat and is like pressing on both sides at the same time. .
You can place it near your sewing machine and press without an ironing board.